Disclaimer: I received a video analysis package for review purposes. I was not required to write a positive review. All opinions are my own and i have received no compensation for this post. A portion of every sale using discount code MG4RSDM will be donated to the Epilepsy Foundation of San Diego County. I am not a medical professional. When I saw that Mike Wardian was raving about Motion Geek and how they were able to help him run better, I had to check it out myself. 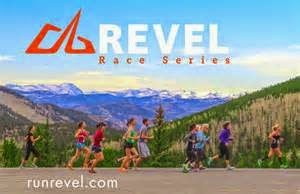 So I reached out to Motion Geek to see if they could help me better my form, get stronger and become a better runner overall in time for my Marathon. 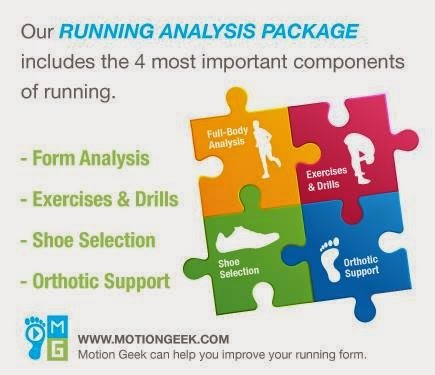 Motion Geek is an innovative method for runners looking to improve their performance and eliminate injuries through a full-body, video-analysis package from any location. A video analysis recognizes inefficient movements within your running form, which limits your running distance. Addressing the non-essential motions enables you to maximize all of your energy allowing you to run farther with less effort. The analysis gives specific ways for you to run farther and longer. 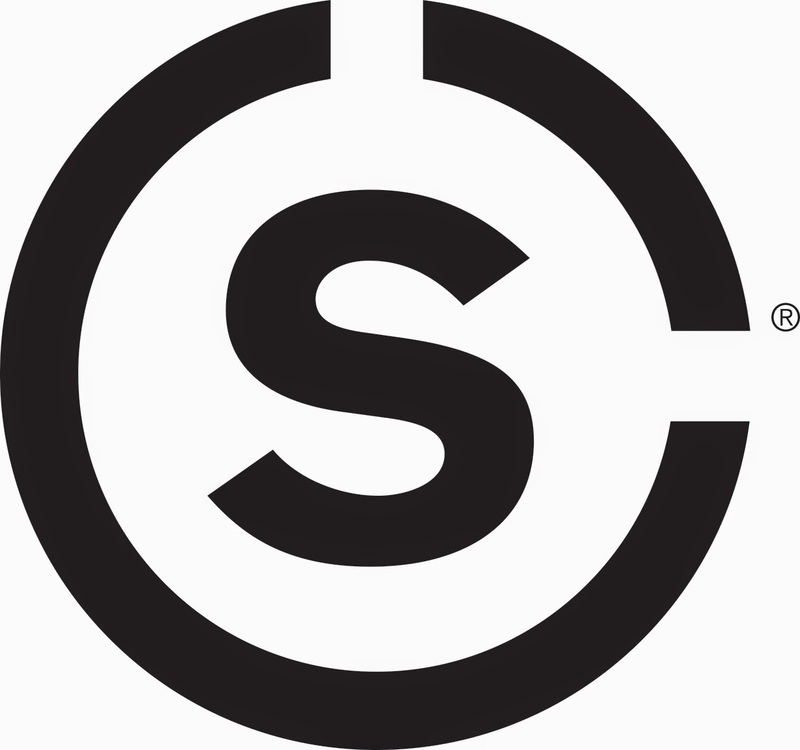 So, first, you register on their website, Motion Geek, LLC. You let them know everything. How much you weigh. Your pace. Your height. Where it hurts when. Then you have to send in videos of yourself in different poses / runs / positions. I chose to film outdoors which required 6 videos. Yes my tank and Spandits are super cute but my excessive ankle eversion is not. Next, check out my hips. Again, weakness was seen in my hip abductors and tightness in my adductors. Makes sense why I always have hip issues. Once they determine what is wrong with your running form and posture, they give you various exercises to help strengthen and correct. Like the side lying clam to strengthen my adductors. I have been doing the suggested exercises now for about 4 weeks and I have to say, I already feel stronger. My legs don't hurt as much while I run and I seem to have better balance overall. They recommend doing each of the strengthening exercises 2-3 times a day 3-5 times a week. While that sounds like a lot, I have incorporated it into my daily rituals. While they aren't right there seeing you run, sending in the videos is the next best thing. Now Motion Geek is giving my readers an exclusive discount for their services. 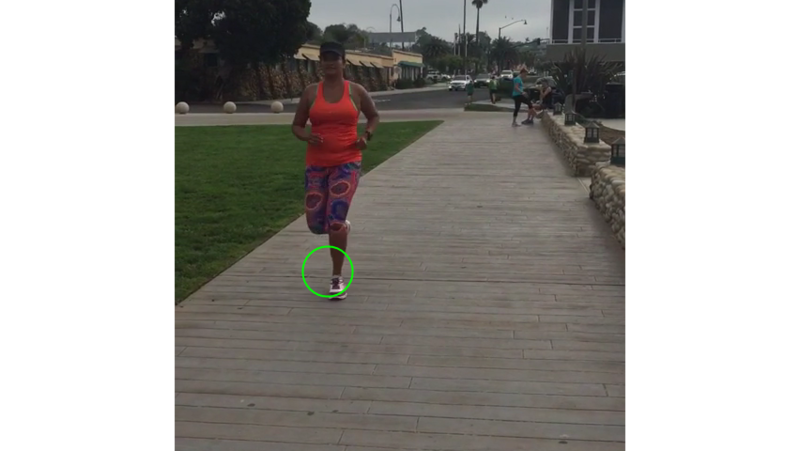 The video gait analysis is regularly $89. 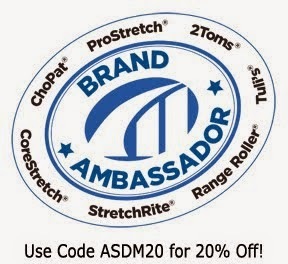 But for you, with code MG4RSDM, you get the entire service for $74 or a $15 savings. AND they have agreed to donate a portion of all sales to The Epilepsy Foundation of San Diego County in my daughter's name! How FREAKING great is that?! So what do you think? Will you try it? I feel like I am going to be a stronger better runner in the long run thanks to my targeted strengthening exercises. hmmm- interesting concept...it is worth looking into! Huh! That's pretty cool! Mike Wardian lives next door to a friend of mine! I haven't met him yet, but he's running our local turkey trot, so I hope to meet him!